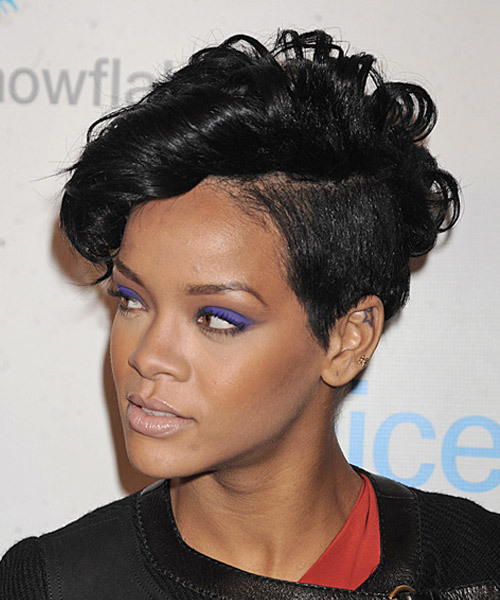 Rihanna once again stunned onlookers with a new hairstyle. Her trade mark short textured crop was worn up in waves through the top, and the sides were slicked-back showing once again the versatility of short hair. With the help of the right products, this style will hold well in any weather condition.